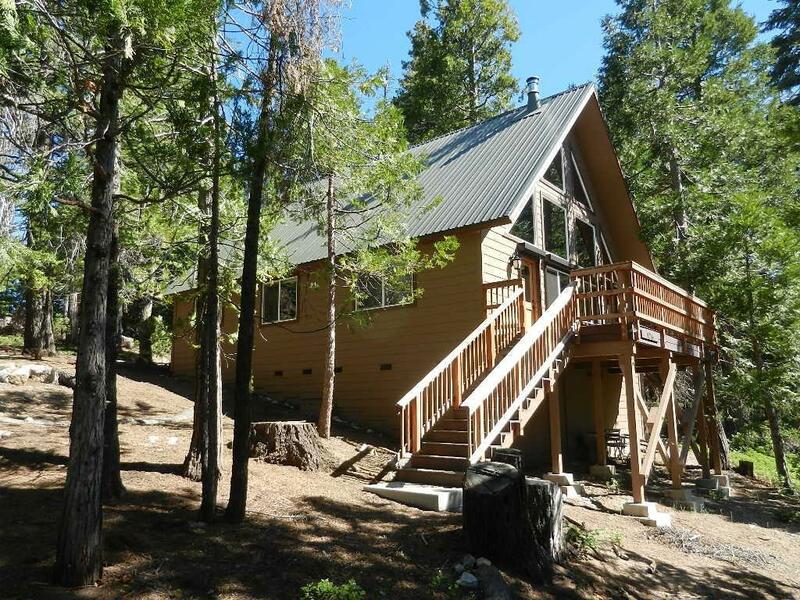 This Beautiful remodeled cabin is located in Exchequer Heights about a 12 minute drive on Dinkey Creek road from Shaver Lake. 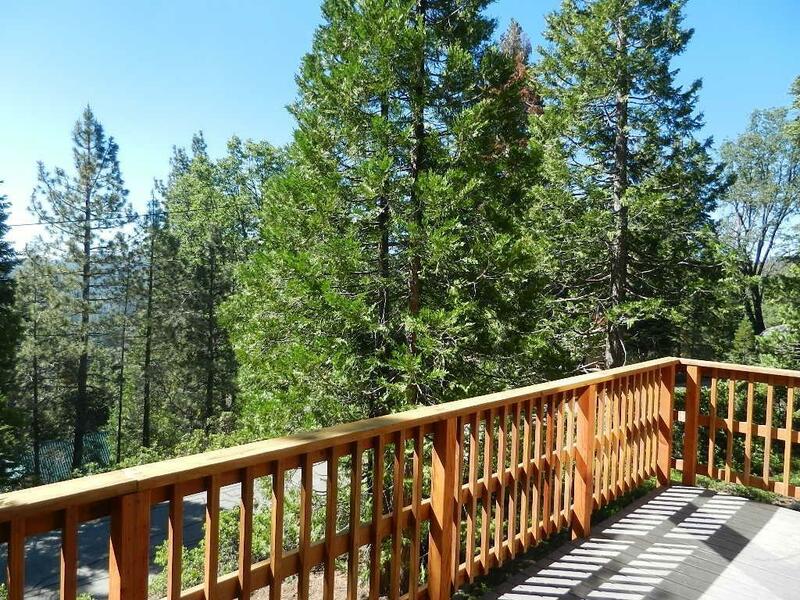 This Cabin comes fully furnished and is like a new cabin. 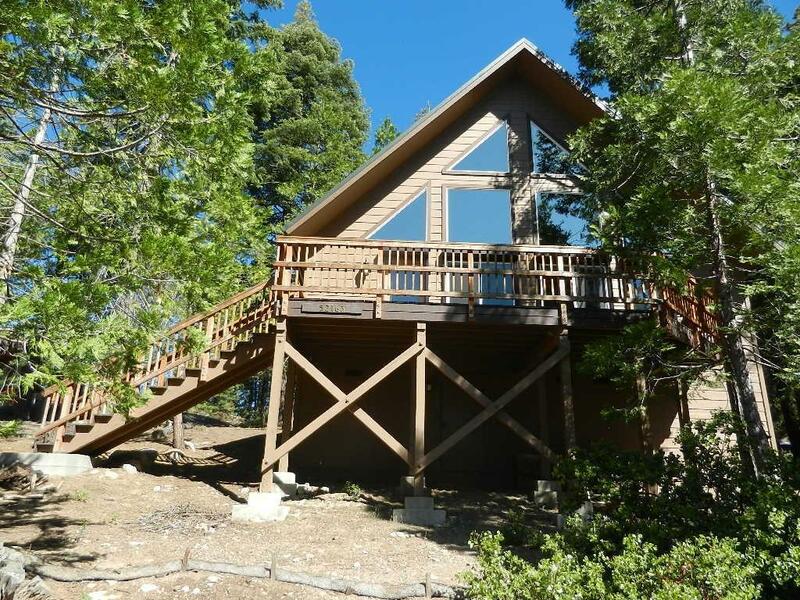 Nice, open with large windows ceiling to floor,looking out to your mountain view. 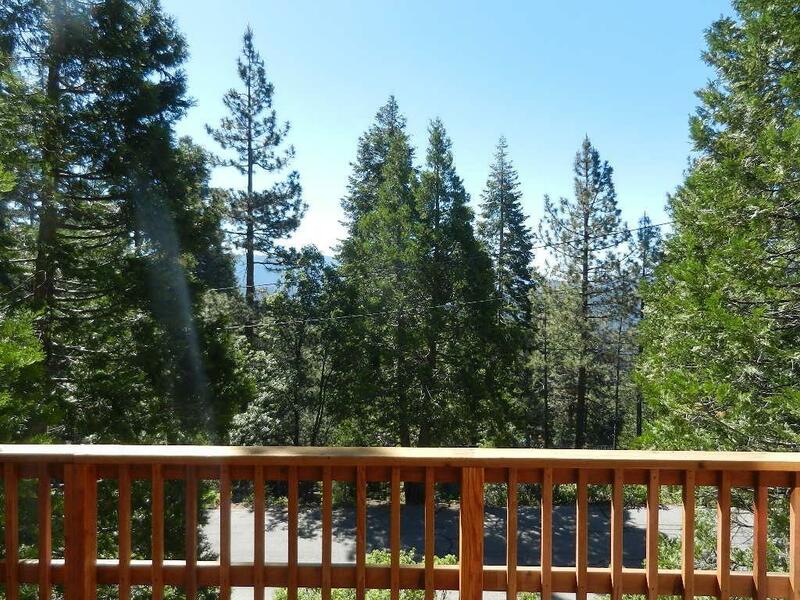 The living room is open to the upper floor and workmanship is of high quality that is noticeable thought out the recent remodel.Kitchen has new appliances, granite counter tops, solid alder wood cabinets to match the solid wood alder doors throughout the cabin. Main floor has a bedroom with two open loft style bedrooms upstairs. The combination of darker solid wood floors, pine trim around windows, solid alder doors gives this a very fresh mountain look. The lot is just under one acre. There is a large garage with plenty of room to park the toys and finished storage area above large enough for a game room or could be set up as a bed room. This is a Must see! Listing provided courtesy of Michael Mcwhorter of Realty Concepts, Ltd.